Savin Business Machines Corporation was founded by Max M. Low and Robert K. Low in 1959. This company became famous developing and selling liquid toner photocopiers which were manufactured by the Ricoh Company. In the early 1970s Savin developed early word processing systems. 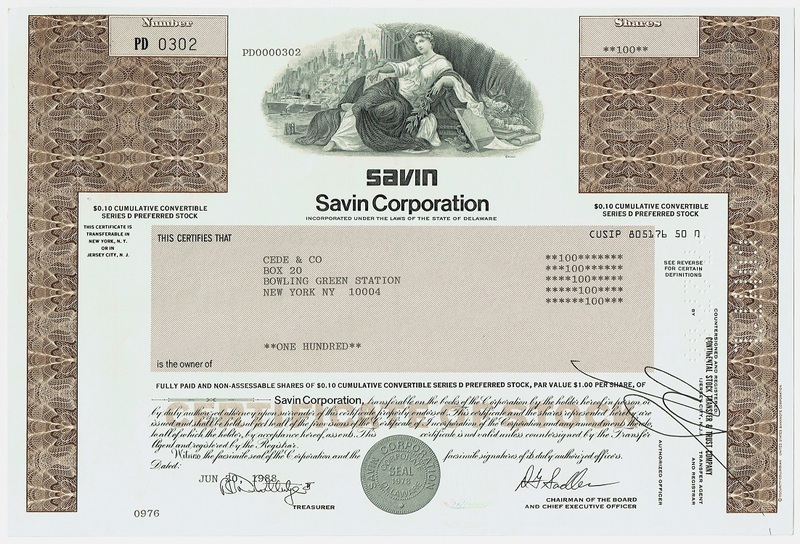 In 1978 the company reincorporated as Savin Corporation. In 1995 Savin is acquired by Ricoh and still exists today developing and selling copiers, multifunctional printers, scanners, interactive whiteboards and other office systems. 1972 Savin Business Machines introduces the 900 Word Master, an early word processor appliance. Pluggable into an electric IBM Selectric typewriter, the Word Master allows secretaries to record form letters on tape cassettes. It then automatically types out the letters while the secretary just types the specifics. 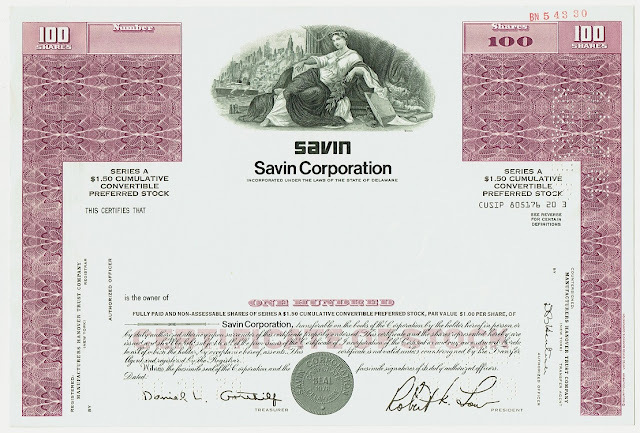 1981 Savin announces the Information Station 1000 and 2000 Series systems. The models are built by Convergent Technologies, Inc. The systems are based on Intel's 8088 or 8086 microprocessor and are equipped with floppy or hard disk drive stations. Both product lines come with interchangeable "touch-panel command strips" and an operator-instruction program that monitors users' training and provides real-time feedback about their performance. Each model can operate either in standalone or clustered model supporting, depending on the configuration, up to 16 workstations. 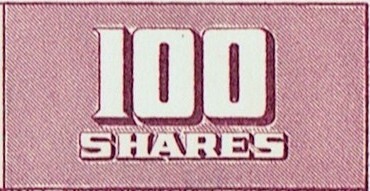 started to appear on stock certificates at the end of the 19th century.